WVU Baseball Wins 4th Straight! WVU Baseball Wins its 4th straight game! The West Virginia Mountaineers Baseball Team won its 4th consecutive game and its 5th our of 6 tonight by pounding Maryland 8-1. Andrew Zitel off the bench! ???????? Pinch hitting, Zitel launches a 2-run home run, the 3rd of his career, to add to West Virginia's lead! Pitcher Dillon Meadows pitched 8 scoreless innings and Brock Helverson closed it out for the victory. 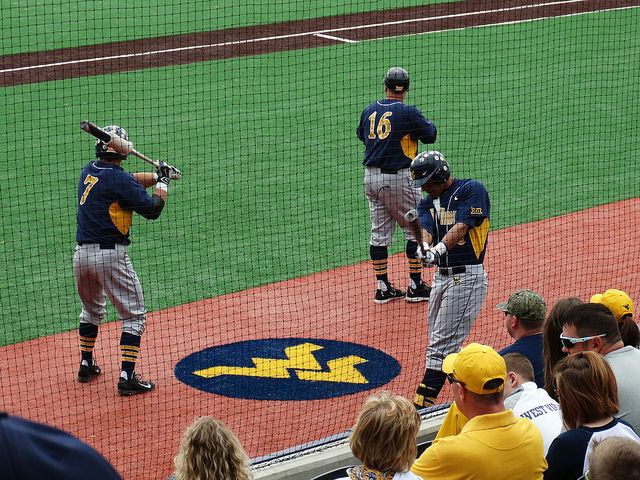 The Mountaineers will play a huge series this weekend at home against the #11 ranked Texas Tech Red Raiders. Listen to Coach Mazey’s wife and get out and support the team this weekend! WVU Takes Down No. 11 Texas Tech Again, Goes For Sweep Sunday at 1 p.m.